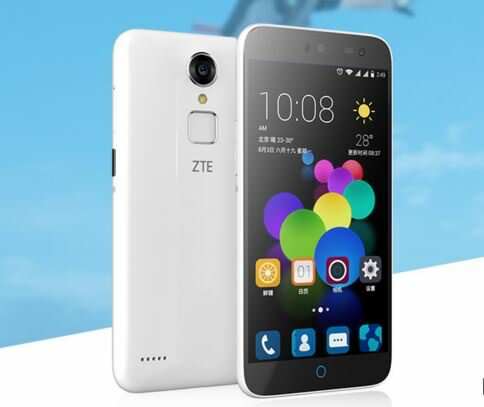 Chinese smartphone maker ZTE has unveiled a new budget smartphone under the Blade series called the Blade A1. It appears to be the world’s most affordable smartphone to boast a fingerprint sensor in the sub-Rs 7,000 range. The sensor is located right below the primary camera at the back, and as per the brand, can unlock the phone in just 0.3 seconds. As far as the other specs are concerned, the ZTE Blade A1 sports a 5-inch HD display, and runs Android 5.1 Lollipop with ZTE’s MiFavor 3.2 UI on top. The phone is powered by a 1.3GHz octa-core MediaTek MT6735 processor, aided by 2GB of RAM. For storage, it offers 16GB of internal memory, which can be further increased by inserting a microSD card. The camera features include a 13MP rear snapper with an LED flash, and a generous 8MP front shooter for selfies. The other features include 4G LTE, dual-SIM support, and a 2,800mAh battery. The ZTE Blade A1 is priced quite affordable at just CNY 599, which is roughly Rs 6,250. The phone will go on sale in China soon in Smart White, Vibrant Yellow, Dream Green, Cool Blue and Space Grey variants.